Given it’s modern industrial history – of oil fabrication, rig refurbishment and renewable energy – it’s easy to forget that the Easter Ross village of Nigg is brimming with history. Nigg Old Church is a prime example – a fairly modest and unremarkable 18th century church in some ways, but built on a religious site that dates back a millennium more, and with the curious feature of a poor loft. Another highlight of the church is a Pictish stone that stood until recently in the church’s cluttered and overgrown graveyard before being moved inside for protection and preservation. 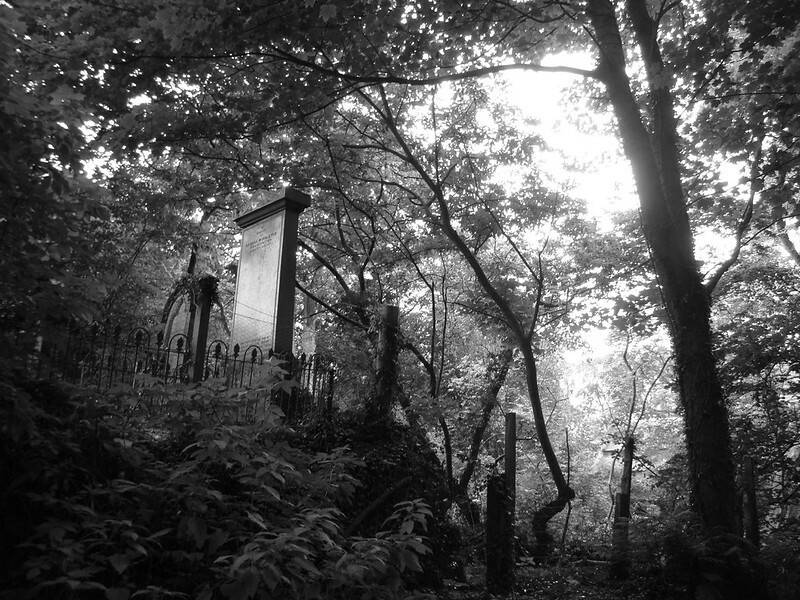 The graveyard too is fascinating, with an atmosphere of abandonment that seems to predate the predominantly 18th and 19th century headstones, and the curious Cholera Stone that dates from an outbreak in 1832. 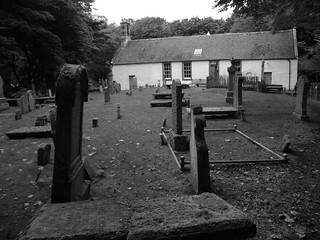 Read more about the church and graveyard on the well-made and informative Nigg Old Trust website. Things get even more interesting and atmospheric, however, when you do the short walk that loops round from the back of the church to the shore of the Cromarty Firth and back. I did this a few weeks ago. While the walk is really not long at all, it is slow going because of the hugely overgrown terrain and the sense of extreme isolation and wilderness that makes you stop, look and photograph. The walk feels a lot further away from civilisation than it is, and in the thick of the trees the autumn’s low afternoon light presented some stunning photograph opportunities. There are detailed instructions for the walk – not that you will need them – on the ever excellent Walk Highlands. And see all my photos from the day on Flickr.